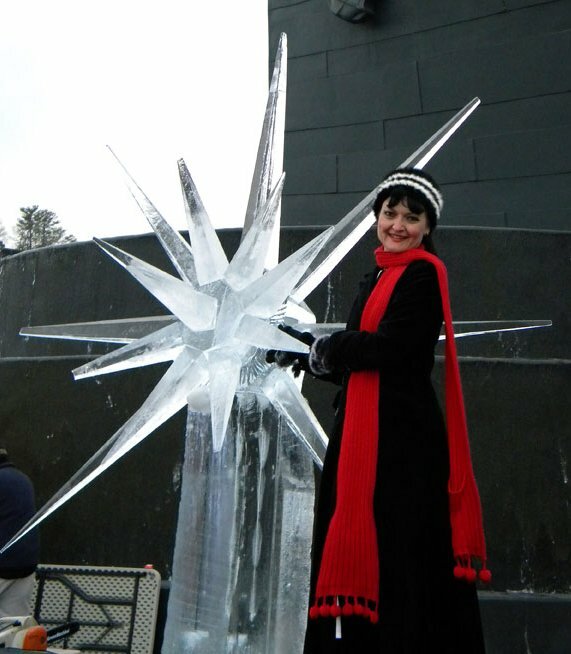 There may be no better way to celebrate winter than carving ice, and the annual ice carving competition comes to the Titanic Museum in Pigeon Forge again this Saturday, January 19. Ice sculptors from all over the world will gather in a race against the clock to create fantastic artworks out of 250-pound blocks of ice. This event is free, scheduled between 9 am and 3 pm, in the Titanic’s outdoor entertainment center. Professionals and amateurs will compete for prizes ranging up to $2,000. If you’ve never seen a sculptor carve a block of ice, you’ll be amazed at how fast they work. It’s a lot of fun to watch the creation emerge from the ice, and there’s an opportunity to talk with the sculptors to learn their secrets. If you’re planning to catch this one-day event the Titanic says you may want to show up early to get a good viewing spot – last year’s ice carving compettiton attracted a crowd of over 5,000. And as with everything in our amazing little part of the Smoky Mountains, events just keep getting bigger and better every year. If you plan to take a Titanic tour while you’re there on Saturday be sure to book ahead because it can easily be sold out. For more info click over to the Titanic web site.